Jamie Vardy’s £1million transfer from Fleetwood Town to Leicester City this week emphasises the growth and development of non-league football in England. More and more players are successfully making the step up from non-league and this is a credit to how non-league football, and in particular the Blue Square Bet Premier Division, is improving. The fact that an increasing number of Football League clubs are paying large transfer fees to sign these players is evidence that the clubs in the Football League are fully aware of it too. Vardy (above) is the latest non-league player to move for big-money after several deals in the last few years, although this eclipses all of those in terms of the transfer fee. Although Fleetwood finished the season as Champions of the Blue Square Bet Premier Division, Vardy is a player who has previously only played at non-league level. The pacey 26 year old was only signed by Fleetwood in August 2011 for an initial fee of around £150,000 from FC Halifax. Now, after scoring 34 goals in 40 games in a fantastic season, he steps up to the Championship with Leicester in a deal that not only rises to £1.7million with add-ons, it will also see his former club Halifax profit to the tune of another £200,000-plus after bonus add-ons and a sell-on clause in the deal that took him to Fleetwood a year ago. So now we take a look at other players that have been involved in expensive transfers from non-league clubs in the last few years. When Crawley Town signed Richard Brodie from York City for £275,000 in August 2010, it set the record for the highest transfer fee paid between non-league clubs. Brodie had just come off the back of a magnificent season for York in which he hit 34 goals as York made the play-offs, where they would eventually lose to Oxford. Brodie never completely settled at Crawley and was in and out of the team, but did manage 11 goals as they marched towards the Blue Square Bet Premier Division title that season. The following season he was loaned out to Fleetwood Town. At Fleetwood he appeared from the substitutes bench more times than he started, as he found himself to be second choice to the prolific Vardy and the impressive Andy Mangan. He did manage 9 goals to contribute to Fleetwood’s successful title-winning season, but it is unknown what his future holds. Crawley also paid £100,000 to Alfreton Town before the start of the 2010/2011 season, for the services of centre-back Kyle McFadzean. McFadzean was a key figure in Crawley’s promotion and remained an integral part of the team that won a second successive promotion to earn a place in League One. That wasn’t the only significant transfer income that Alfreton received that season. In January 2011, Swindon Town paid Alfreton, then of the Blue Square Bet North Division, a fee of around £150,000 for defender Aden Flint. Flint struggled to break into the Swindon team immediately as they fought a relegation battle in League One. He was loaned back to Alfreton in March and captained the side as they were crowned Champions to earn promotion the Blue Square Bet Premier Division for the first time in their history. Flint has since become a regular in the Swindon side that finished as Champions of League Two, meaning he will now play in League One for the first time in his career next season. When Flint arrived back at Swindon for pre-season training in July 2011, he was joined by another player that Swindon plucked from non-league. This time it was Grimsby Town striker Alan Connell. Connell (below) had previously played in the Football League for Bournemouth, Brentford, Hereford and Torquay. But he had the best goalscoring season of his career for Grimsby, scoring 29 goals in all competitions for a side that finished 11th in the league. Swindon boss Paolo Di Canio paid the Mariners a fee believed to be £150,000 to add him to a healthy choice of strikers that meant Connell wasn’t the automatic pick that he had been at Grimsby. He did manage to score 13 goals to play his part in the title-winning season that means he will once again play at League One level. Wrexham’s season-long battle with Fleetwood at the top of the Blue Square Bet Premier Division was interrupted in the January transfer window when Premier League Swansea City lodged a bid for Curtis Obeng. Swansea paid around £200,000 for the defender, who has yet to make an appearance at the Liberty Stadium. But at the age of 23 he has time on his side in his quest to become a regular fixture in the Swansea team. Newport County received £200,000 from two separate transfers within 6 months of each other in 2011. In the January of that year, Stevenage paid £100,000 for striker Craig Reid. Reid had enjoyed a blistering start to the season that saw him score 18 goals in his 29 league game for County. He only scored twice for Stevenage during the rest of the season but managed 7 goals in his 29 games the following season in League One. Newport received their second £100,000 windfall when Blackpool signed defender Paul Bignot in July 2011. Bignot is yet to make an appearance for Blackpool and was loaned out to Plymouth during the season. Stevenage’s capture of Craig Reid was their second signing from non-league in recent seasons. In May 2010 they paid Ebbsfleet United £100,000 for defender Darius Charles. Charles had famously signed for Ebbsfleet after his release from Brentford in 2009, when the community-owned club’s members raised the £25,000 compensation fee and voted in favour of him signing – the first transfer of this nature. Charles has made 56 appearances in his two years at Stevenage and played in the League Two play-off final at Old Trafford in his first season with The Boro, which secured promotion to League One. One player has been involved in two decent-sized transfers from non-league clubs in recent years is George Donnelly. The striker, now playing at Rochdale, signed for Fleetwood in January 2011 for a fee of £50,000. He scored 5 goals in his 25 appearances for Fleetwood, but soon found himself behind new arrivals Jamie Vardy, Andy Mangan, Richard Brodie as well as Magno Vieira in the pecking order at The Highbury Stadium. Donnelly was initially loaned out to Macclesfield and was later bought by the League Two side for £75,000, who will ironically now pass his former side on the way down to non-league after their relegation to the Blue Square Bet Premier Division. Two players that left the non-league scene for sizeable transfer fees in 2011 were Tom Naylor and Alex Rodman. Defender Naylor joined Derby County, initially on loan with a view to a permanent deal. Derby boss Nigel Clough liked what he saw of the youngster and The Rams eventually paid Mansfield a fee thought to be £100,000 in January 2012. Tamworth forward Rodman joined League Two side Aldershot Town for an undisclosed fee believed to be in the region of £75,000. The versatile midfielder/striker scored a hat-trick for Tamworth in a 3-2 win against Newport on the 11th of January, 2011. The following day, Newport Manager Dean Holdsworth left to take over as Manager of Aldershot and had obviously been impressed by Rodman’s hat-trick exploits as he signed just two weeks after taking over as manager of The Shots. Now to a player perhaps more commonly recognised than some of the names above – Lee Novak. Novak (above) signed for Huddersfield from Gateshead in January 2009 for an initial fee of £50,000 after scoring an incredible 16 goals in the first 18 games of the season. The arrangement of the transfer saw Novak loaned back to Gateshead where he took his total for the season to 26 goals in 32 games as The Heed finished in 2nd place in the Blue Square Bet North Division and won promotion via the play-offs to the Blue Square Bet Premier Division. His subsequent number of appearances for Huddersfield have seen another £100,000 go Gateshead’s way in the form of appearance-related add-ons, taking the total transfer value to £150,000. Novak isn’t quite as prolific in League One with Huddersfield, but his strength is important to Huddersfield and he helps the likes of Jordan Rhodes to shine. Another player who has played for a few league clubs, including Peterborough at Championship level, since rising from non-league, is Exodus Geohaghon. Geohaghon was signed by Peterborough in January 2010. After playing under Mark Cooper at Kettering for 15 months, Cooper had left Kettering in November 2009 to take over at Peterborough. Two weeks after taking the reins at Peterborough, Cooper moved to sign Geohaghon on loan from his former club, with a view to a permanent deal in the transfer window. Sure enough, in the January transfer window of 2010, Geohaghon signed for The Posh for a fee of around £150,000. 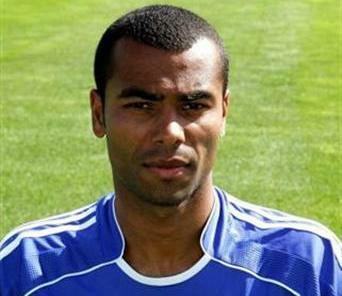 He then had several loan spells after falling out of favour at Peterborough following Cooper’s departure. He left Peterborough in 2011, had spells at Barnet and Darlington (again under Mark Cooper, before he was sacked as manager) before finishing the season on loan at Mansfield. He is now a free agent. Finally, I think it is necessary to give an honorary mention to Matt Tubbs. Whilst Tubbs (below) wasn’t signed from non-league to get his chance in the Football League, he had only been out of non-league for 6 months by the time he was signed by Bournemouth for a massive £800,000 fee. He was a prolific goalscorer for Salisbury City before Crawley paid £55,000 for him to join their promotion challenge in 2010. By the end of the 2010/2011 season Tubbs had hit an amazing 40 goals in 48 matches to fire Crawley into League Two as Champions of the Blue Square Bet Premier Division. Then half-way through his first ever season out of non-league, by which time he had already bagged 18 goals in 31 games, Bournemouth swooped in and smashed their transfer record to sign the 27 year old striker. Pictures courtesy of dailymail.co.uk, examiner.co.uk and bestofthebets.com.